There have been times where I've kicked myself for not packing the correct gadget or accessory while travelling. If any of the following scenarios have happened to you, then read on! Power Trend's Share Stick and Share Foil take multi-tasking to a new level and offer a solution to all of the problems above. They say not to judge a book by its cover, but my first impression of the Power Trend products is that the packaging is really nice. Each product comes in a sturdy box, which opens to reveal the device cushioned in black velvet foam. The Share Stick ($69.90) fits nicely in my hand and has a smooth touch feel of rubberized ink. Weighing 123.5 grams, the device would easily fit in any backpack or handbag. 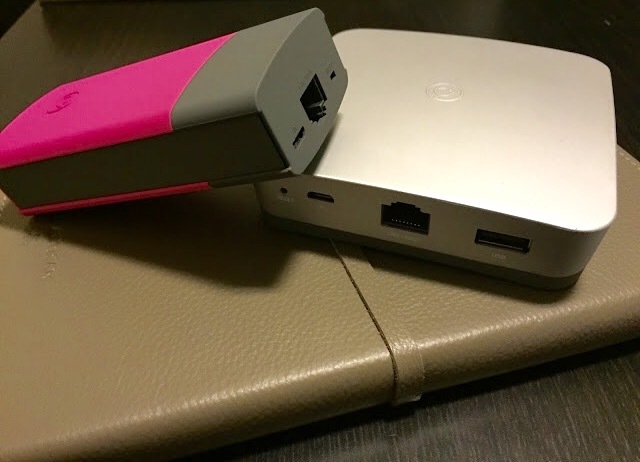 The Share Stick looks and weighs about the same as a power bank but upon reading the Quick Start guide, I am informed that the product is much more than your run-of-the-mill power bank. 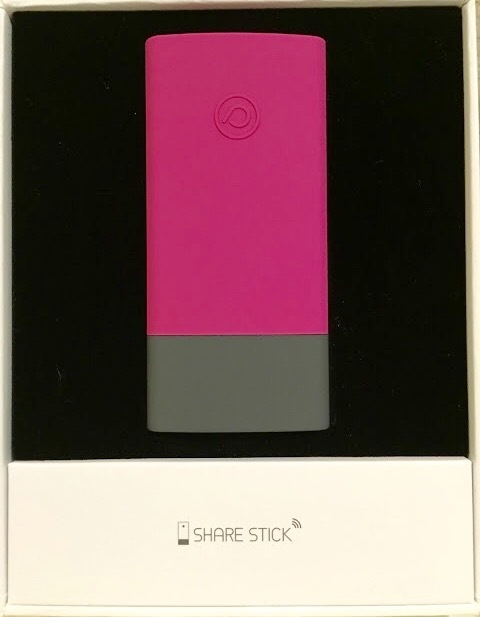 In addition to providing 5200mAh of power on the go (to provide some context, charging an iPhone once requires approximately 1800mAh), the Share Stick has a range of other functions. 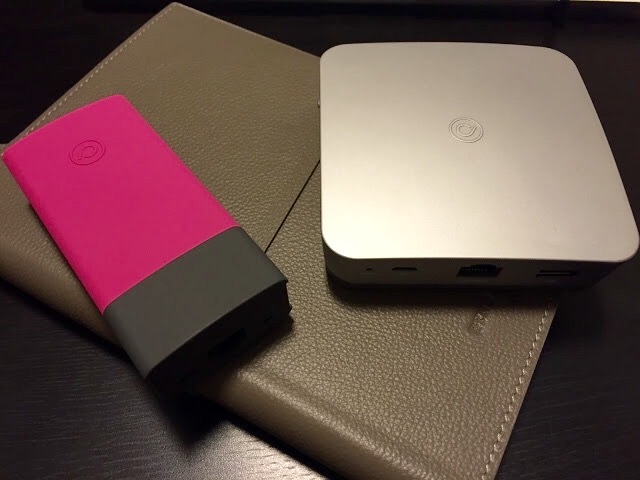 The product contains both a USB port and SD card slot, enabling the sharing of files on a USB or SD card via the Share Stick to a laptop or mobile phone. The device also has a Rj-45 port, which transforms a LAN connection into a wireless router providing Wi-Fi access for up to ten devices. If you have a 3G dongle, this can be inserted in the USB port and the Share Stick will convert the 3G signal into Wi-Fi providing multiple devices with access to the internet. The Share Stick measures 99 x 46.5 x 26.5mm and comes in a range of bright and cheerful colours: blue, green, orange, yellow and pink. We aren't the only fans of the Share Stick - the product was awarded the Red Dot Award for Product Design 2015. The Share Foil is the sister product and alternative to the Share Stick. The trade-off for the upgraded multi-functionality is the larger dimensions of the Share Foil, which measures 96.7 x 98.7 x 28mm and weighs in at 186 grams. 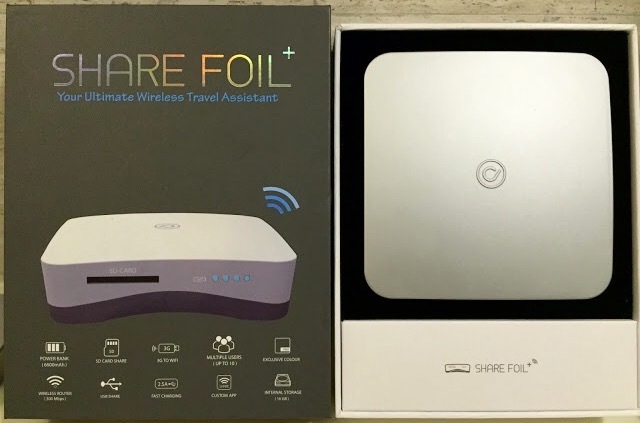 The Share Foil ($79.90) also comes in the range of five colours, however, there is a premium product, the Share Foil Plus ($99.90), which comes in silver (pictured). Overall, we were impressed with the variety of functions the Share Stick and Share Foil offer in such a small package. Alternatively, the products are available at Relay stores in Hong Kong International Airport or shop online at PowerTrend and Buy Me Design. Note: Lifestyle Lookbook was provided with sample products for the purposes of this review courtesy of Power Trend. *After writing this article, we were told that PowerTrend are planning to release a 4G sim card version later this year.